"... .S., Tomilina N.A. Academician V.I. Shumakov Federal Research Center of Transplantology and Artifi cial Organs ..."
"... .P., Borodulin I.E., Pronchenko I.A., Tomilina N.A. Academician V.I. Shumakov Federal Research Center of ..."
"... .V., Frolova N.F., Tomilina N.A. Academician V.I. 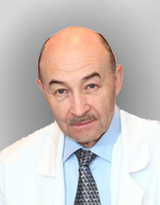 Shumakov Federal Research Center of Transplantology and ..."
"... , 4, Artyukhina L.Y.4, Kim I.G.1, 4, Kurenkova L.G.2, Tomilina N.A.1, 3, 4 1 Division of nephrology, V ..."